Researchers at the National Institute of Mental Health (NIMH) are reporting that a set of four questions that emergency department (ED) physicians or nurses can ask successfully identifies youth who are at risk for attempting suicide. Lead researcher Lisa Horowitz, Ph.D., M.P.H., an NIMH clinician and researcher, explained why a rapid screening tool is so important. 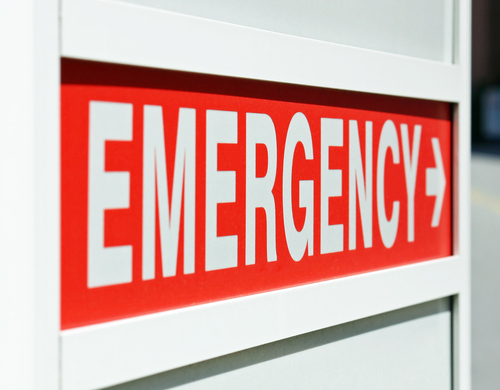 "Many families use the emergency department as their sole contact in the health care system," she said, but most of them don't show up in the ED and say they want to kill themselves. "Rather, they show up with physical complaints and do not discuss their suicidal thoughts. But studies have shown that if you ask directly, the majority will tell you." However, there have been no validated screening instruments to assess suicide risk in youth who come to the ED complaining of physical symptoms. In their study of 17 candidate questions in patients aged 10 to 21 who came to academically affiliated pediatric EDs with psychiatric or medical/surgical issues, Horowitz and colleagues found that 4 of the questions used as a set accurately predicted suicide attempts. The questions asked about "current thoughts of being being better off dead, current wish to die, current suicidal ideation, and history of suicide attempt." Positive responses to 1 or more questions identified 97% of the youth at suicide risk, regardless of whether they came in for psychiatric or general medical problems, they reported in the Archives of Pediatric and Adolescent Medicine. They note that the instrument derived from these questions, the Ask Suicide-Screening Questions (ASQ) "is the first time such a screen has been validated for pediatric and young adult patients evaluated in EDs for medical/surgical reasons." For more information on assessing suicide risk, see The American Psychiatric Publishing Textbook of Suicide Assessment and Magement, Second Edition.